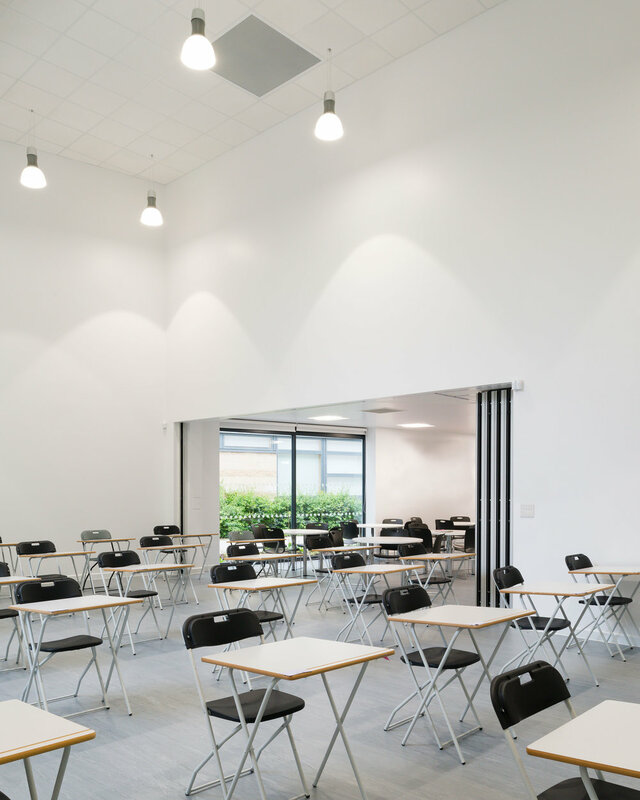 Surface to Air were appointed to design and delivery a new sixth form expansion to the existing primary and secondary Ark Academy school in Wembley. Located on a tight corner site, the proposed building provides all the facilities required for a 2FE sixth form within a compact two storey 1300sqm extension. 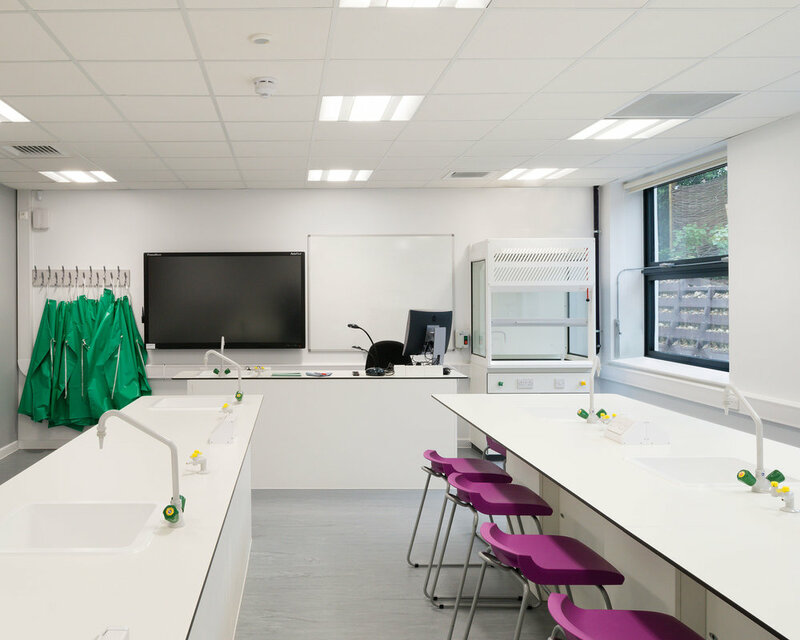 This notably includes specialist teaching facilities, a large performance hall as well as a gallery and social spaces. Due to active conservation policies on the site, the development includes a thoroughly considered landscaping strategy that enhances biodiversity, green pathways and existing habitat.